Fly private to T.V.’s premier awards show in downtown L.A.
Los Angeles Private Jets offers the highest standard in private air service to/from the Emmy Awards. The event will be held at the Microsoft Theater in downtown Los Angeles on September 18, 2016, and airport slots will fill quickly due to a rise in air traffic as we approach the Emmy Awards. 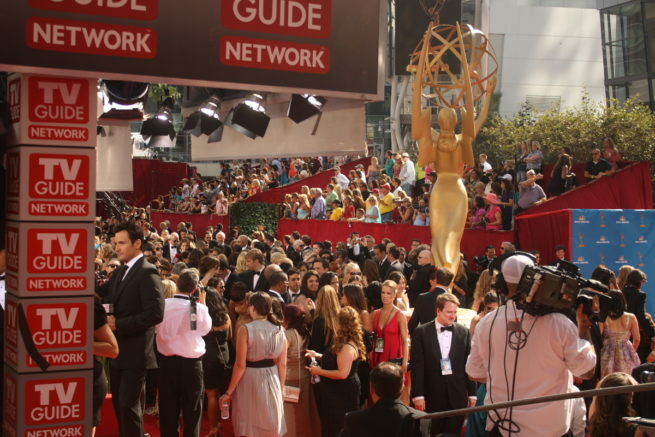 Book a private flight to Los Angeles for this year’s Prime-time Emmy Awards Show, and we can arrange for your flight to land at (VNY) Van Nuys Airport in Van Nuys, (BUR) Bob Hope Airport in Burbank, or the Southern California airport of your choice, with luxury ground transportation awaiting your arrival. Los Angeles Private Jets has access to hundreds of aircraft in our Star Operator Network, ranging from helicopters and turbo props to light, mid-size, super-mid-size and heavy jets. Many of the aircraft we use are the same luxury aircraft many celebrities are already familiar with – choose from Citations, Hawkers, Lears, Falcons, Challengers, Gulfstreams, Global Expresses or for larger parties, Boeing Business Jets. 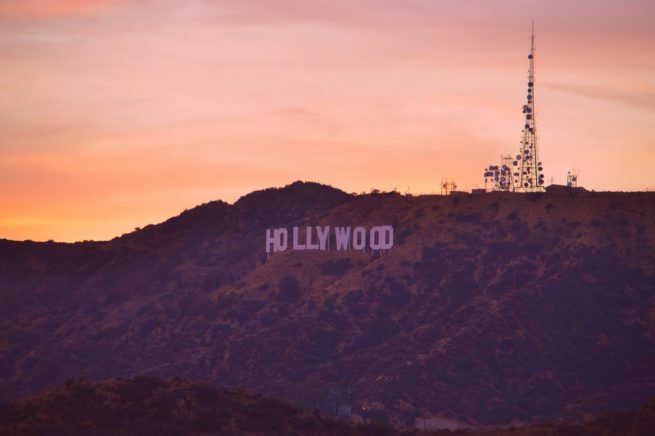 If you’re planning a last-minute flight to the Emmys, our team can arrange a private aircraft or helicopter for the Emmy Awards in as little as 4-6 hours, and our flight support specialists are available 24/7 to meet any needs you may have. Our team is very familiar with the flight preferences of celebrities, athletes, musicians and entertainers of every variety. We cater to several high-profile clients with needs and preferences outside of standard flight requirements, and are able to satisfy even the most demanding private flyers. If you’re an agent or personal assistant looking to arrange a private flight for your client to/from the Emmy Awards, let us be your personal assistant in private aviation. Our team understands that this business is about forming a relationship, and not just about the dollars and cents. We’re happy to answer any aviation questions you may have, and provide a transparent, one-on-one consultative experience to give you peace of mind when arranging your fight to Los Angeles. We work as hard as we can to make the quotes we offer competitive and fair. Our team diligently reviews the most recent reports for pilot safety, aircraft maintenance and operator history, and we never cut corners regarding our clients privacy, safety, and comfort. Request a Quote or give us a call at 1-888-987-5387 to speak with one of our flight support agents and arrange your private luxury flight to the Emmy Awards Show in Los Angeles, California.